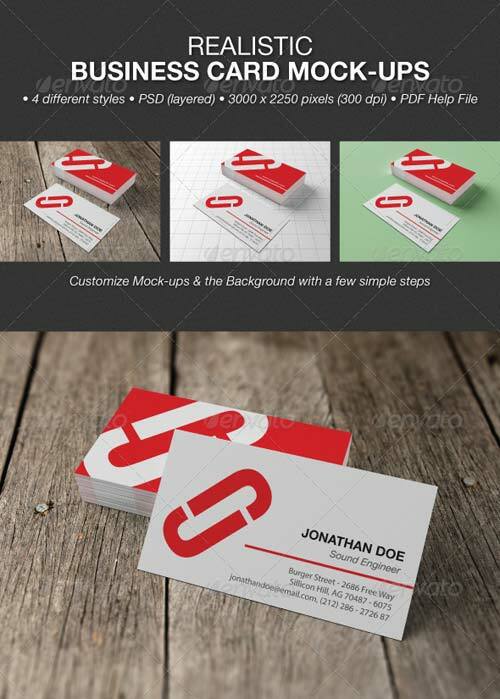 This Realistic Business Card Mock-ups useful for business card / identity card showcase or presentation to your client. Easily add your design with a few simple steps. Even you can customize the background colors or add your own background without worry about the perspective, because this Realistic Business Card Mock-ups has set up within the smart object properly.